Niger's security forces have arrested more than 100 people in the Sahara desert who were trying to illegally cross the country's northern border into neighbouring Algeria, security sources said Monday. The International Organisation for Migration (IOM) said the arrests, which took place on Saturday, concerned 122 women and children found in a single truck. Local media said 150 people had been arrested. An estimated 100,000 people passed through Agadez last year, a city in the centre of the West African state and a major hub for sub-Saharan migrants aiming to reach North Africa and Europe. Authorities believe more will come through this year. A security official said the truck had bypassed Assamaka, the final desert checkpoint in Niger before the border with Algeria, and was found by a customs patrol car. "The patrol immobilised the truck, discovered the migrants on board and gave the alert," said the official. 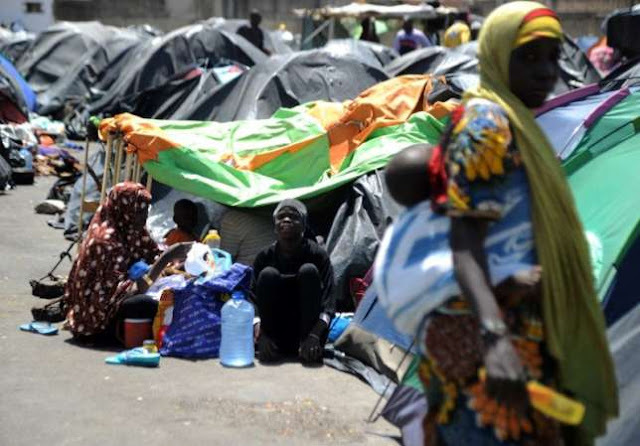 Giussepe Loprete, IOM's mission head in Niger, said the migrants had been returned to Agadez on Sunday, where they were staying at an IOM centre before the organisation would facilitate their returns to their areas of origin. "All these people ignore the dangers that loom over them, like the breakdown of a truck in such a vast desert and the exhaustion of their reserves," said Loprete.